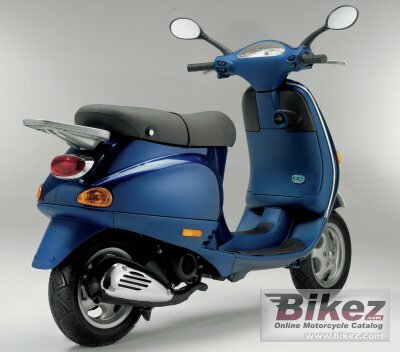 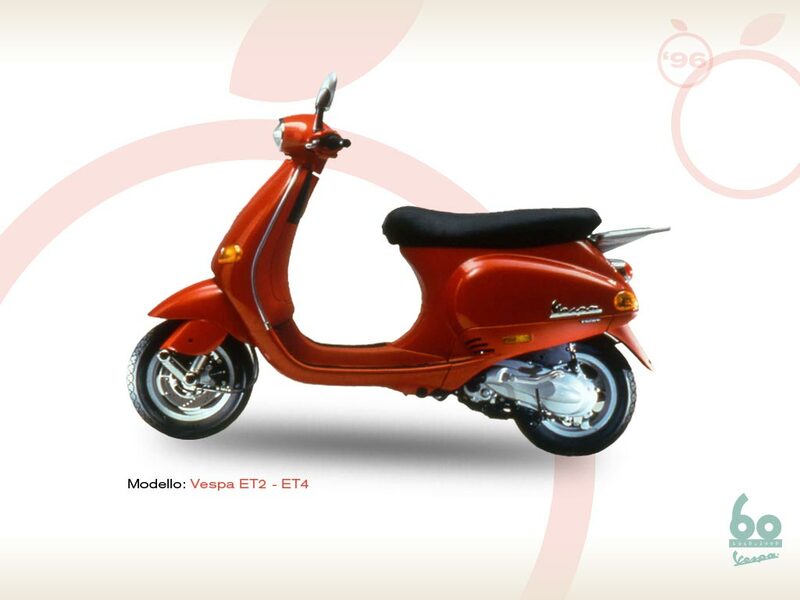 This is the 50th anniversary Vespa, solemnly presented in September 1996 in Rome. The Vespa approaches the millennium without losing its traditional elegant, appealing, immediately recognisable, reassuring styling. At the same time, it has become technologically innovative, reaching new milestones in terms of comfort and confirming its greatest strong point, the ability to reflect the fashions and requirements of the moment better than any other two-wheeler. 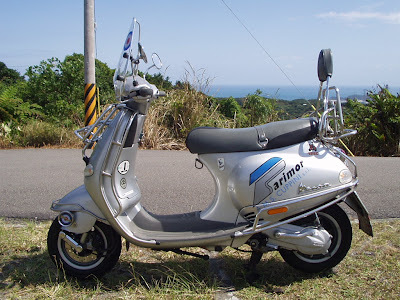 This is the secret that has made the Vespa the most famous, best loved, best-selling vehicle of all time, a real “time machine” on two wheels. The Vespa ET2 Injection, powered by the FAST engine (Fully Atomised Stratified Turbulence), the first “two-wheeler” with a direct injection two-stroke engine which lowers fuel consumption by up to 30% and polluting emissions by up to 70%.